Christmas time is the time we tend to “need” a few dessert recipes to choose from. 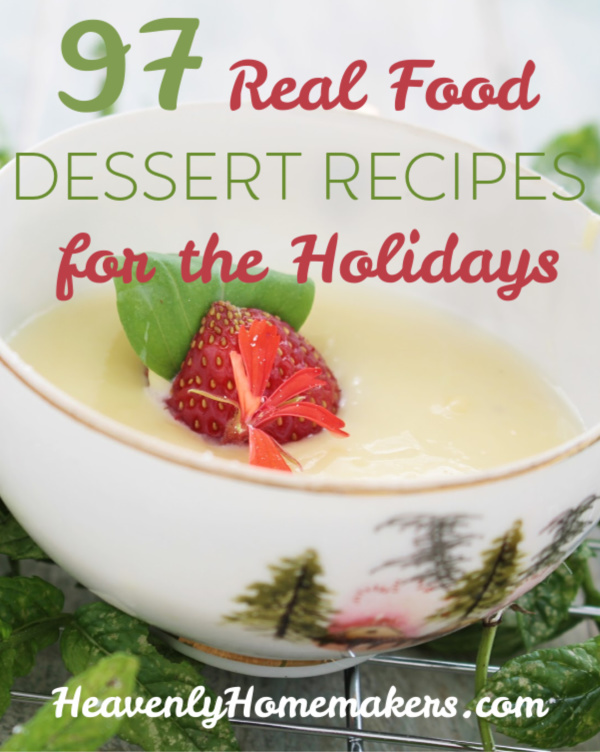 Today, I’ll hand you 97 real food dessert recipes for the holidays! This ol’ blog has been around for quite some time. Eleven years to be exact. When I began writing and sharing recipes back in 2007, I was fairly new to the “real food” scene. I had in mind that if I substituted white flour for whole wheat, and white sugar for sucanat, I was healthifying a recipe. Oops. You can’t help what you don’t know, and you can’t do better until you know better. And shucks, I still don’t know what I don’t know, so I’m sure to come back in the 2020’s to share how much I’ve learned since 2018! At least they all do call for real food ingredients. Real butter for the win! Carrot Cake – Low Sugar! Chocolate Cake – Low Sugar! Chocolate Cheesecake Dessert – Low Sugar! Chocolate Frappe – Low Sugar! Chocolate Frosting, Honey Sweetened – Low Sugar! Chocolate Whipped Cream on Strawberries or In Your Coffee – Low Sugar! Monster Chocolate Chip Cookie Bars – no flour! Peanut Butter Cake – Low Sugar! Pineapple Cream Dessert – Low Sugar! Pumpkin Cheesecake – Low Sugar! Rice Crispy Treats – the healthier way! 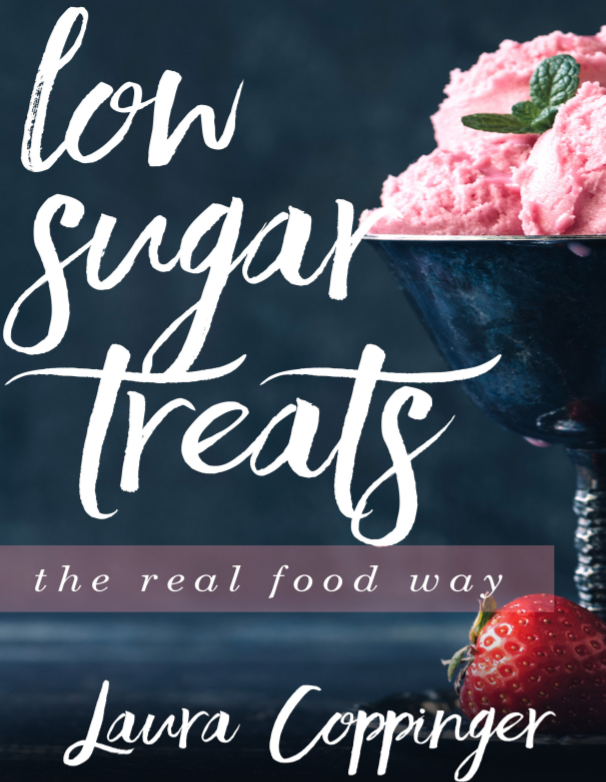 Need some Real Food Low Sugar recipes? Me too!